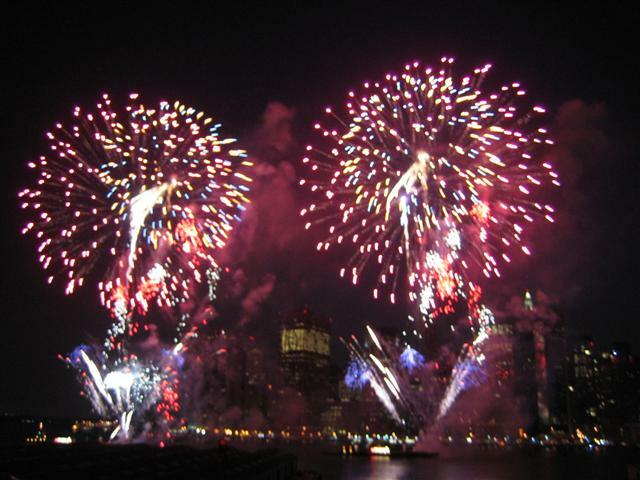 After a happy walk tour around lower Manhattan in a beautiful day, we went to Brooklyn for the fireworks. Waited for a long time. But it's so worth it. 20 or so minutes, full of woos and wows, so beautiful. Especially with those skyscrapers I just got to know in lower Manhattan this afternoon in the background. What a I heart NY moment.